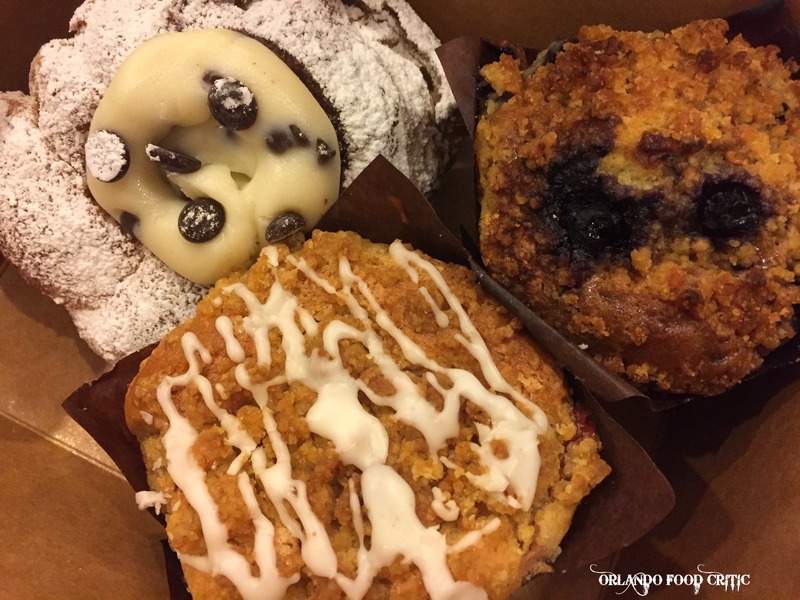 The Gourmet Muffin – 2909 Corrine Drive Orlando. The Audubon Park and Corrine Drive area is rapidly becoming a “Hot House” location for new local businesses taking that leap into a “Bricks & Mortar” site and The Gourmet Muffin is one of the latest to do so when it opened its Corrine Drive shop a few days ago. So we dropped by today to say Hi! and sample some of their delicious and inventive creations. Faced with a display cabinet overflowing with baked goodies, the choices are amazing, they truly have something for everyone and bake both vegan and gluten free varieties. Cannoli Cruffin – Totally on-trend, this hybrid of that decadent Italian delicacy a Cannoli and a Muffin just begs to be eaten, light and creamy in texture perfectly baked. 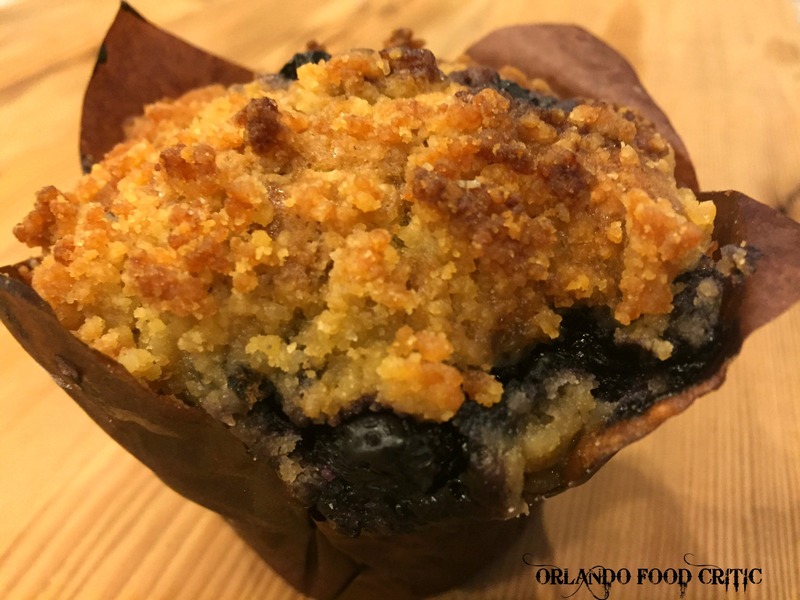 Blueberry Streusel Muffin – An outrageous number of whole Blueberries nestled in a delicate Muffin with crisp Streusel topping. Seconds please! Caramel Apple Muffin – Great flavor and balance of sweet apple and caramel with a crisp topping makes every bite perfect. All the Muffins we tasted were perfectly baked with an exemplary level of skill, passion and innovation, these Muffins are the “Real Deal”. The Gourmet Muffin also serve “Muffin Pops”, many more baked delights, great coffee and freshly squeezed citrus juices. Not only can you find these delicious Gourmet Muffins on Corrine Drive you can also get them at numerous farmers markets including Gainesville, Lakeland, Ocala and Celebration. We wish them good luck, go visit them soon.